The Belize Port Authority may soon see increased export activity through a proposed development by a private company to facilitate bulk-cargo transportation using the facility. Arturo Vasquez, receiver, Port of Belize explained that they have been in negotiations with a company called Belize Logistics Terminal discussing the development. According to Vasquez, the development of a bulk-cargo terminal would facilitate agro-productive exportation. 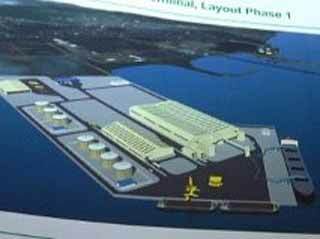 Vasquez said that the current terminal is mainly a container-cargo terminal and not suitable for bulk-cargo handling. He added that in some cases, receiving countries cannot accept agro-products in containers, placing limits on the port because it eliminates sales to certain external markets. According to Vasquez, a final decision hasn’t been made as yet but they are continuing discussions with relevant stakeholders including BELTRAIDE; the Ministries of Agriculture and Transport; Belize Sugar Industries; American Sugar Refinery; Green Tropics; Prosser; A.D.M and Belize Natural Energy. Vasquez indicated that after last week’s meeting they will review the business plan and get input from all parties involved with regards to investment. Vasquez said that it needs to be a private and public sector initiative and that the government should be a part of the investment because it would be a significant benefit to the country. Vasquez estimated that once investments are secure the actual construction of the facility would take about 18-months to complete. Vasquez added that the Belize Port has the highest shipping and handling cost of any port in the region but said that cost could be lowered with a better work force and better labor agreements.